French Wine Tasting in Paris : Whether you are a wine novice or a real connoisseur, one of these tastings are for you! You will taste a wonderful variety of French wines: from Alsace to Bordeaux, from Burgundy to Chateauneuf-du-Pape. With a unique approach, focused on fun and pleasure, your French sommelier will allow you to learn and enjoy about the pleasures of wine! There are three tastings to choose from and each is unique! Highlights on all experiences include Wine Appreciation Class, French Wine Regions Presentation, Reading a French Label and the possibility to buy wine. Tastings take place in an Oberkampf Loft. The Oberkampf is a trendy Paris neighborhood. Your Wine Tasting takes place at a French sommelier's home, in a beautiful loft with air conditioning. How to book my wine tasting online ? How to book on this website ? Well quite simple : First search your tour on our website. 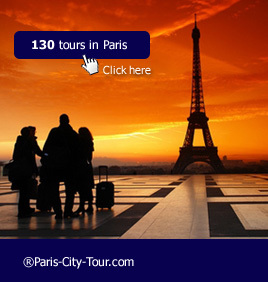 Click on the Details and booking button - Get more information about the tour - click on the book this product button and enter your information. Then pay online and print the voucher. Full details and adresses are provided. Should I book my French wine tasting in advance ? Romantic evening in Paris : start with a Dinner at La Coupole..